Whether you are building a new hotel, motel or resort, or renovating a project our crews provide our clients with the assurance of meeting deadlines so your can be one step closer to generating revenue. 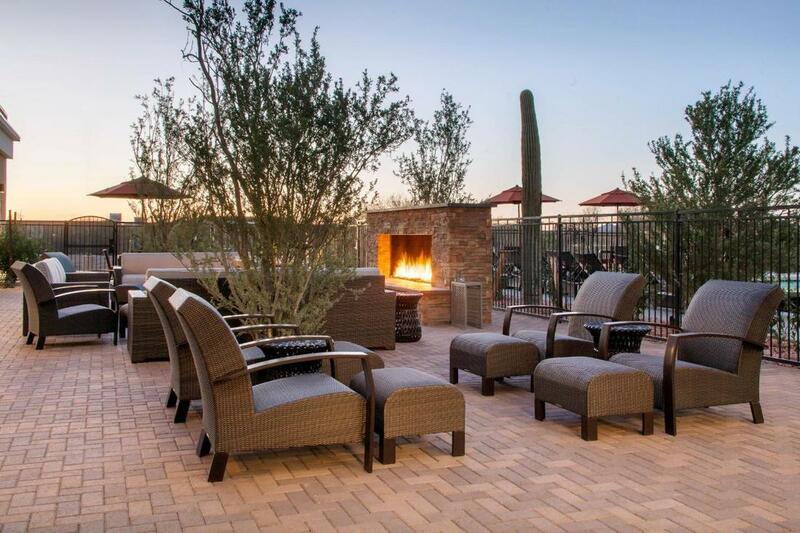 We have worked on large-scale, high-rise projects as well as smaller projects in rural communities throughout Arizona. We understand the importance of having materials and crews on-site when you need them. Because of our workflow process, we can assemble crews of any size, and deliver upon the deadline. The Paul Johnson Drywall commitment is to get the job done for you. Count on us for your next hospitality project. PJD has completed drywall services for numerous notable hospitality projects, including premier hotel brands such as Hyatt, Hampton Inn, Homewood Suites, Marriott and Hilton. 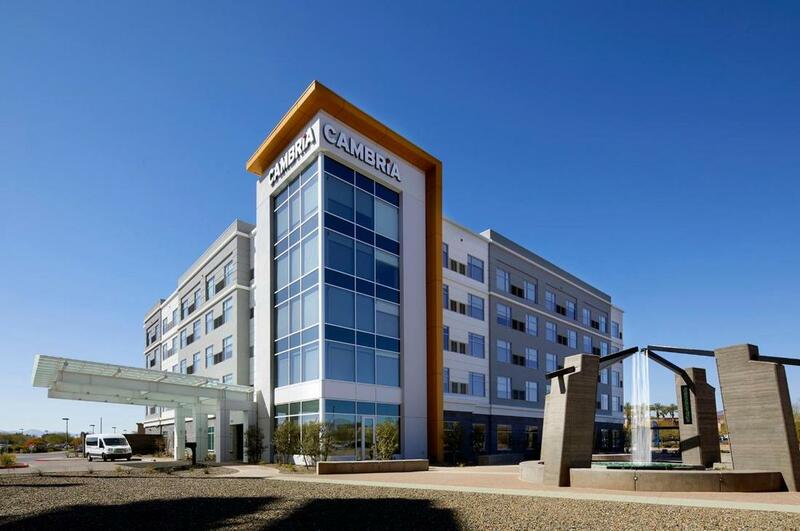 Cambria Hotel Phoenix Chandler - Fashion Center provides travelers modern amenities close to prime local attractions. Paul Johnson Drywall completed drywall services for the 136-room hotel by Layton Construction. 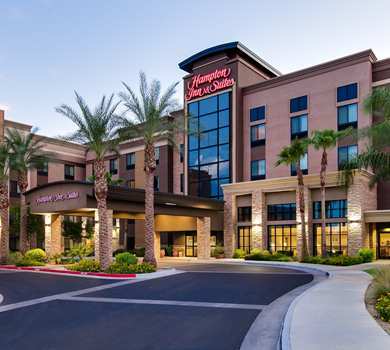 The hotel is conveniently located in Metro Phoenix’s East Valley, where the 101 and 202 loops meet. 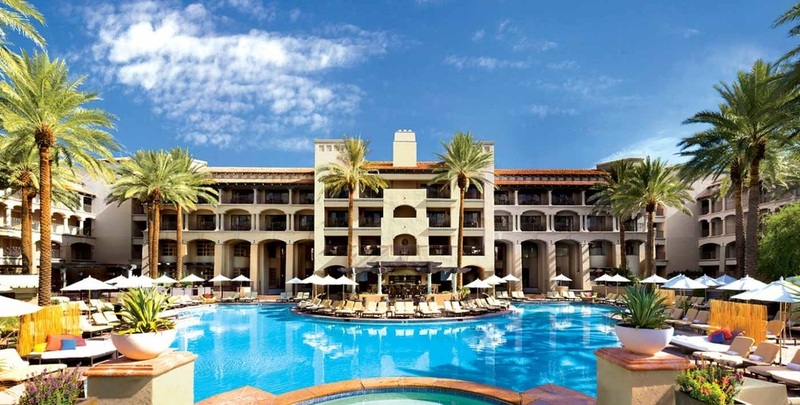 The Cambria Hotel North Scottsdale Desert Ridge is both stylish and close to premier shopping, dining and other attractions — all set against the backdrop of Scottsdale’s breathtaking McDowell Mountains. The 130-room hotel, with professionally installed drywall by Paul Johnson Drywall, was constructed by Layton Construction. With drywall installed and completed by Paul Johnson Drywall, the hotel’s fresh and contemporary design offers ideal accommodations for guests “just passing through,” as well as for those spending more time in the area to attend Phoenix and Buckeye’s many big sporting events. 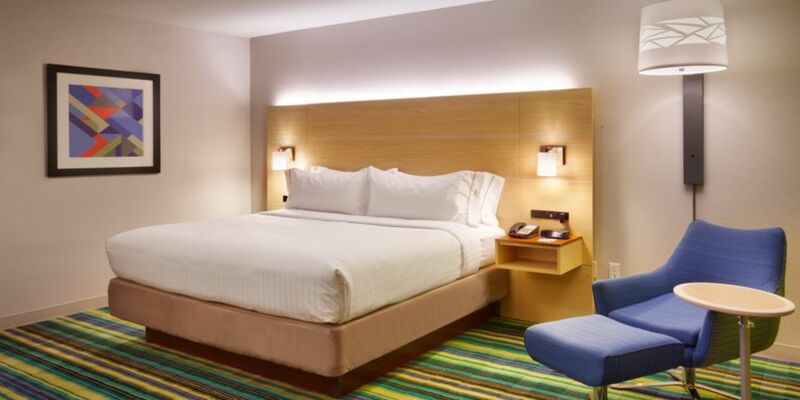 Constructed by Legacy Builders, the 88-room hotel is minutes away from the University of Phoenix Stadium, the home of the NFL’s Arizona Cardinals and the NCAA’s Fiesta Bowl. 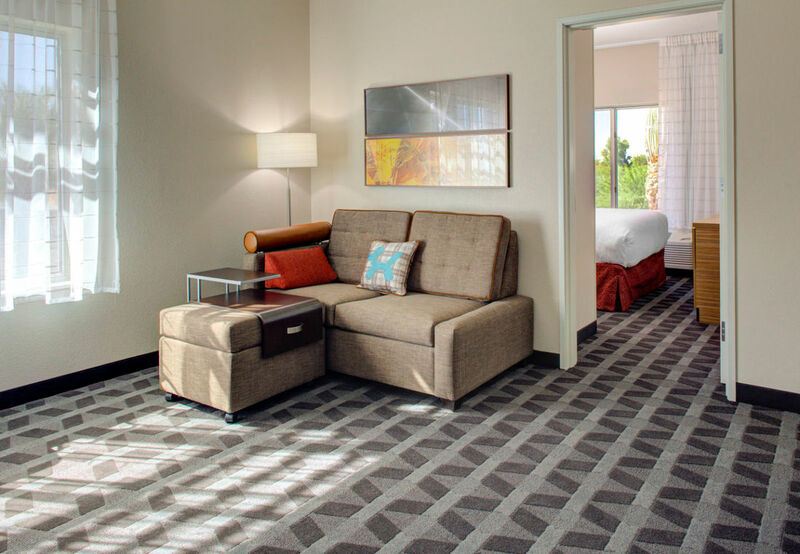 Marriott-owned TownePlace Suites Phoenix Chandler/Fashion Center offers 109 modern, apartment-inspired suites that are perfect for corporate and extended-stay guests. Paul Johnson Drywall’s full-range of drywall services were used for the hotel’s larger than traditional rooms. The suites include full kitchens, as well as a separate living room and bedroom. Deluxe amenities include free WiFi, plush bedding and flat screen TVs with premium channels. Start your day with a free hot breakfast or workout in the 24-hour fitness center. In the evening, enjoy beer and wine during the hotel’s nightly reception. Built by Layton Construction, the TownePlace Suites is located next to the Chandler Fashion Center, which offers a great shopping and dining experience. ​ Westin hotels is set to make its first entrance into the metro Phoenix market with a four-story, 107-room hotel planned near Chandler Fashion Center. Phoenix-based Glacier Development plans to open an Element by Westin hotel near Chandler Boulevard and the Loop 101 freeway, just west of the mall, by December 2016. 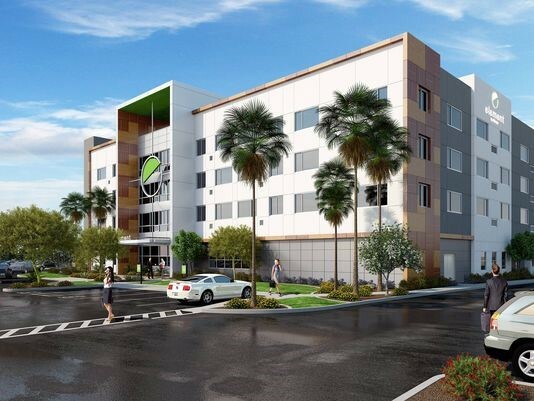 It would be the Valley's first Element hotel as the brand expands across the globe. Element is an extended-stay hotel featuring recycled materials and an environmentally-friendly design. Element Hotel architecture will feature natural wood elements and a clean, modern design. Amenities will include a swimming pool, fitness room and business center. There are currently about a dozen Element by Westin hotels operating in the U.S., along with one in Canada and one in Germany. Another 16 U.S. locations are expected to open over the next few years, and the hotel brand is also expanding into Asia and the Middle East. 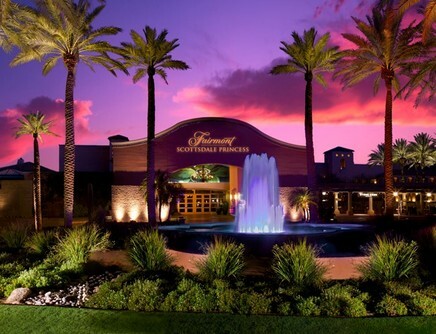 ​The resort features 648 oversized guest rooms, including 69 Fairmont Gold rooms and suites, five heated swimming pools, the luxurious 44,000 square-foot Well & Being Spa, world-class tennis, championship golf at the adjacent TPC of Scottsdale, several world-class restaurants, and the Trailblazers Kids Club & Family Adventure Center. A more comprehensive list of representative Hospitality projects is available here (PDF).